Discover Norfolk's amazing wildlife: the many species, the best places to visit and how we can all work to save wildlife. All blog posts for Norfolk Wildlife Trust are now published on the NWT website. 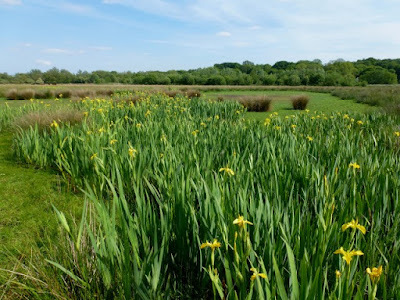 Please come and visit us there to continue reading about conservation in Norfolk, our landscape-scale work to help wildlife thrive in the face of climate change, and ways that local people can get involved learning about and protecting wildlife! I have been lucky enough to have lived with wild chimpanzees in Uganda, followed walruses in Svalbard and surveyed humpback whales around Madagascar but there has always been a bit of an argument within the circles of biologists and conservations. The argument arises when many of us refer to ‘our’ animals when we work with them. Many say that they are wild and nobody should lay claim to them but I’d argue the opposite. By saying ‘my’ chimpanzees, I did see them as mine. And also belonging to Sippi, my senior field assistant; to Joy, the camp cook; to the researchers and tourists who visited and in fact, everyone everywhere. It’s my idea that by assuming a benign level of possession, we in fact increase a connection with the animals and from that, a sense of stewardship and ultimately, a vested care in what happens to an individual, community of species. But it is not just those animals in frigid arctic waters or humid tropical forests that could benefit from a better relationship with humankind. 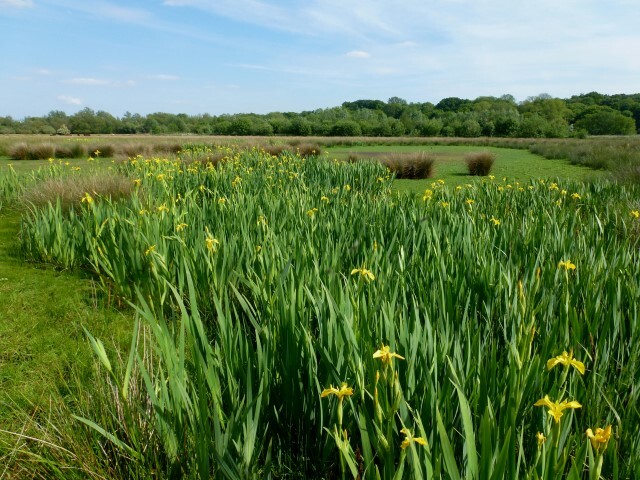 Us Norfolkers are lucky enough to live in a part of the UK rich in terms of habitats and ecosystems, with a multitude of interesting and iconic species, many of which sit very close to the precipice of extinction. Something I always appreciated growing up in Norfolk is that close relationship with the surrounding environment we seem to inherently possess in our wild, wind stricken, coastal county. I remember the first time I saw a seal. I was on a beach on a walk in the tail end of winter. I delightedly watched as it splashed and dipped beneath the waters. Since that day some thirty years ago, I have watched this little stretch of coast around Horsey grow to become one of the largest and most important seal breeding colonies in the UK. I still visit every winter to see the pups being born and watch every spring as the big male grey seals tear chunks from each other as they battle for dominance. The thing I like most about it is that so many people who visit sites such as Horsey and Blakeney come away with a sense of real connection with the animals. 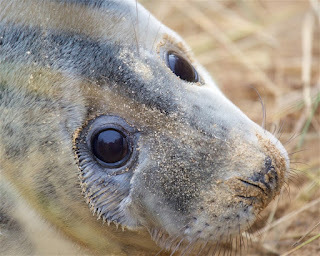 So, I decided to ask a cross-section of people why they visit the seals in Norfolk and what they mean to them. Many of the visitors do so either through curiosity or because it a lovely way to spend an afternoon but Natalie Bailey, the Producer from the Norwich Science Festival reminds us that a visit can be a great way to engage with science and the natural world. "Trips to see the seals have become increasingly popular and an annual tradition for many families. The visitor numbers at Norwich Science Festival this year demonstrates that there is an appetite to learn more about a whole range of science fields locally, and seal watching is another example of this. It raises awareness of the ecological issues surrounding our coastline and spurns conversation about this, which is fantastic." Similarly, Dr David Waterhouse, the Senior Curator of Natural History for the Norfolk Museums Service marvels at just how special these iconic large animals are. “It's easy to forget that grey seals are our largest British mammal (big males can weigh up to 400kg, that's nearly 63 stone!). Because we lost most of our megafauna (such as mammoth and woolly rhino) after the last Ice Age, seal watching is the British equivalent of Big Game watching in Africa. In Norfolk, you can get incredibly close to these large but passive and intelligent animals. 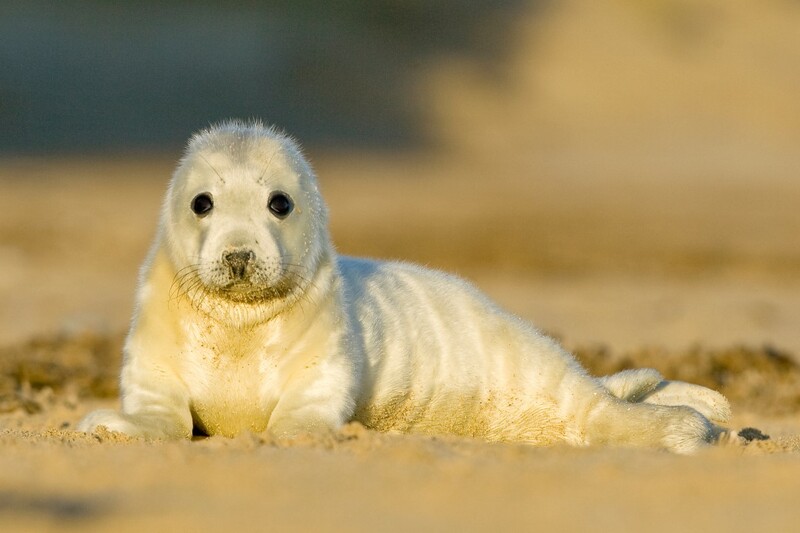 At Blakeney there are boat trips, but I've also had the privilege of swimming with seals at Waxham. They're so inquisitive and playful - you can keep swimming with dolphins, I'd rather swim with seals any day!” While swimming with seals is definitely not advisable for most of the year when either breeding or mating - David is an expert - but it does show just how inquisitive and intelligent these marine mammals are. 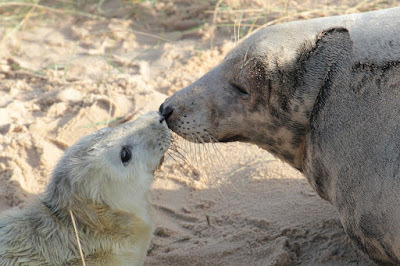 With tens of thousands of visitors to breeding sites and through the success of TV series such as Blue Planet 2, which was the most watched wildlife series ever in the UK, it is clear that we are fascinated not only by the seals themselves but also nature in a broader context. We all marvel at the power of the large predatory seals and coo at the big-eyed pups but we need to give something back. Maybe the pledge to use less plastics around the home, or donating a few quid or telling our friends, family and kids just how important our local wildlife and their habitats are. It seems that most of us have been to a local seal breeding colony at some point and whether you're a scientist or a broadcaster, the magic felt at seeing the mischievous watery wildlife there is almost palpable. You don’t have to travel thousands of miles to see these wild places and it won’t cost you a fortune to visit but we still need to give these sites and the animals they house the respect they deserve. John Rushmer, now aged 93, farmed what is now NWT Thorpe Marshes in the 1960s. His memories were crystal clear when I went to see him to pick his brains about the recent history of my local nature reserve. As a tenant elsewhere of landowners Crown Point Estate, John was offered the chance to put the unmanaged ‘Whitlingham Marshes’, as he knew them, into productive grazing. They were a mix of willowherb, sedge and other rough vegetation, plus reed in one corner, he remembers: much as for some of the ungrazed areas now. He surveyed the ditches and organised their restoration, essentially the existing ditch network plus continuations into what is now the gravel pit, St Andrew’s Broad. A diesel drainage pump was installed adjacent to the existing tidal flap and the pump ran through the summer months. Summer water levels would therefore have been lower than today’s more natural levels. There was a curious accident from that. The drainage pump’s inlet pipe in a ditch was raised when need be by a pulley set on a wooden tripod. One of the legs of that tripod took root and accounts for the poplar tree near the tidal flap. All of Thorpe Marshes was ploughed, turned over a foot deep. Then it was disced, rolled and seeded, mostly rye grass plus some white clover and cocksfoot grass. That surprised me: the rich mix of marshland plants when I first knew the site in the 1980s suggested to me that the marshes near the railway line had never been ploughed. Some nitrogen was applied to ‘improve’ the sward; however, John told me, no herbicides were used. That must have helped grazing marsh plants to reappear later. Added to that, the RSPB’s restoration project at Lakenheath Fen showed how resilient a marshland seedbank can be if the right conditions are restored, in that case to fields that held poplar trees and later went under arable cultivation, including carrots. From 1961, 80-100 Friesian cows were on Thorpe Marshes from May to September. These were all for milking, which was done with a mobile unit called a milking bail, sited for the summer on a concrete pad that remains in place. 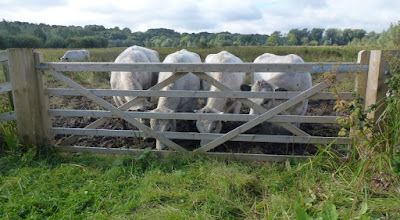 I have been used to older, traditional breeds for the grazing of the marshes. I told John about the Lincoln Reds, Red Polls, Dexters and British Whites there in recent years. Friesians have a reputation of being less robust. Were Friesians OK, “on that rough old marsh?” I asked. “It wasn’t rough when we farmed it. Not a weed to be seen,” John said. The Friesians were there until about 1969. Flooding and waterlogging meant the initial flush of good grass didn’t last. From about 1970 to 1975 there was grazing with mixed or beef cattle on site, allowing a little over a decade for a natural recovery to the conditions I discovered when I moved to the area in 1987. In today’s terms, ploughing of marshland would certainly be regarded as environmentally damaging. That doesn’t mean I am judging John harshly: his initiative then was of its time. What we learn from these snippets of local history is that nature can be remarkably good at recovery, given the right conditions. Norfolk Wildlife Trust. Picture Window theme. Theme images by konradlew. Powered by Blogger.